I might seem crazy talking about mountain biking in the capital city, however, they are a few local spots to get some MTB riding in, as well as a couple of great riding opportunities a few hours outside of London. With the Olympic velodrome as your backdrop you can really feel the London 2012 legacy when riding the trails at Lee Valley. These trails are pretty much all man-made, with a grading system similar to ski runs (Blue, Red, Black). 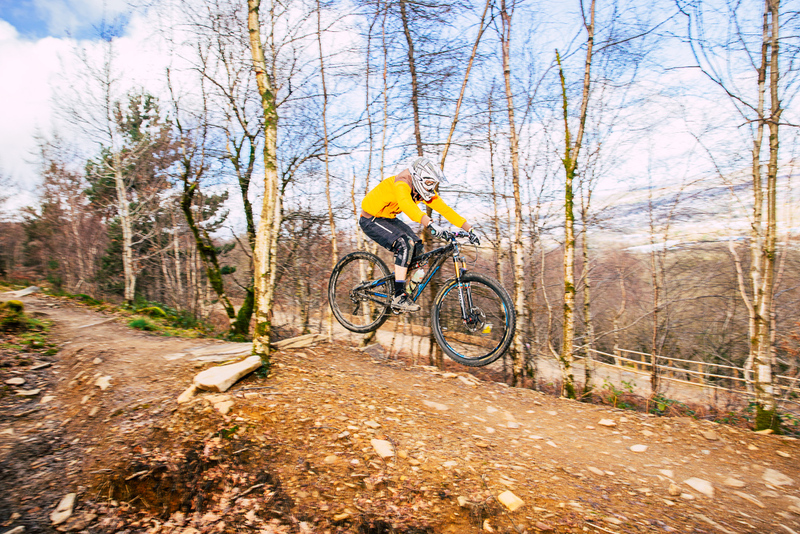 You won’t find big climbs here, as the terrain isn’t super steep, however, the trials are challenging and offer a great place to have your first go at mountain biking. Lee Valley also runs taster sessions giving you access to the trails and bike hire, as well as development course for those riders looking to go to the next step in their ability. Just 45 minutes outside of the capital you will find, what was once known as, Europe’s Largest bike park. There is 6km of man-made trails again using the same grading system as Lee Valley. The blue runs are made for riders of all ages, red’s require some more mountain biking ability, and the blacks are reserved for competent mountain bike riders. A little further out of London you will find Hadleigh Park: The Olympic 2012 cross country mountain bike course. Most of the course remains unchanged from the 2012 race, giving you the opportunity to ride the same course as the Olympic athletes. There are 5km of trails to ride with the 6 main black features from the race available to ride as well. Blue routes around these features meaning this venue is available for all ability riders. I have ridden here many times, it gives you such a buzz knowing you are riding on the same course as the Olympic athletes. Unlike the other venues, the riding in Surrey Hills isn’t a specific site. These trails have been built by local riders at various places around the area. Equally, there is no grading system so you can find yourself in deep water quickly if you haven’t walked the run first. All of these trails are more natural than man-made parks. You will be able to find some limited information on trails online and facebook groups, however, groups of riders like to keep their “good” stuff secret and when they are riding this will switch their Strava off to keep their location under wraps. My advice: Park up in one of the local forestry commission car parks, and go ride. You will come across all types of trails. If you are a little nervous about the quality of the trails, as they haven’t been built by professionals, don’t be! Brendan Fairclough is a regular on the Surrey Hills trials and he knows how to ride a mountain bike. A quick youtube search of his name will show you his ability. Possibly the best place I have ridden in the UK. The trails here are just incredible. This is a place designed by top mountain bike riders. With over 35 runs, ranging from Blue up to Pro Lines, it offers everything a mountain bike rider could ask for. There is also an uplift service here so you can pack in the ultimate number of runs. Blue trials even need a basic mountain biking ability to get down safely, and then the reds require a higher level of skill to get down. The Blacks and Pro lines are something else. You need to be a pretty competent rider to conquer these runs. Admittley the 4-hour drive makes it less appealing to some and really requires an overnight stay (at least you get 2 days riding ). I can’t recommend this venue enough! If you are into your mountain biking you do need to get yourself over here at some point. We are looking to take a group of Athlete Lab members to the Evans Cycles North Down MTB event on Saturday 11th May, as part of the Athlete Lab on tour series. If you are interested. If please drop me an email.